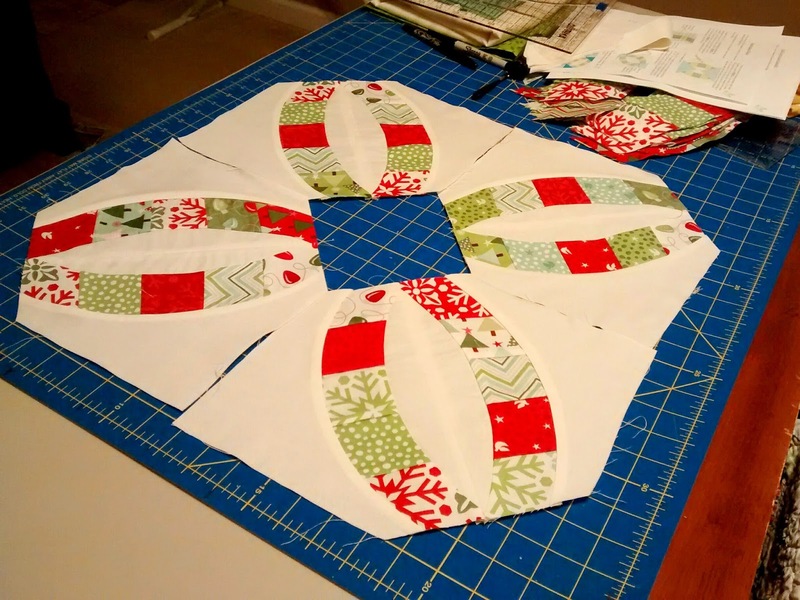 I was able to get a few blocks made for the Christmas quilt I started the other day. There were a few steps that were rather confusing. I ruined two arcs and will have to remake a few others. I will write a post soon to clarify a few steps that I think could be modified to yield better results. There wasn't enough fabric left over from the jelly roll to make more arcs. I had to order another one but that is fine by me because I actually wanted to make a queen size quilt. I should have plenty of fabric for that now. Looks great. Did you happen to catch her tutorial last week? Very informative. I have this on my To Do list but will wait until your observations are posted. Why re-invent the wheel? Ha!